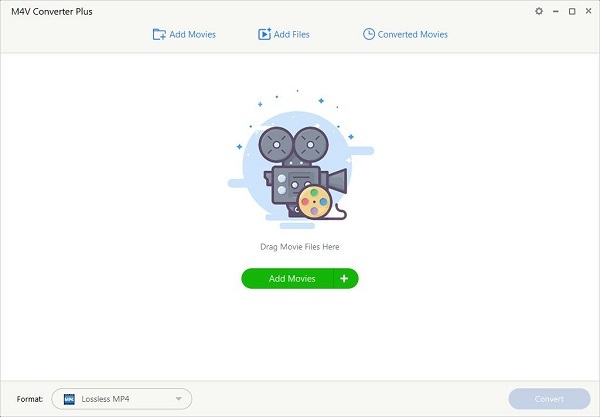 M4V Converter Plus for Win is a professional and powerful M4V converter, which is used to convert any kind of M4V files, including purchased iTunes movie and iTunes M4V rental to MP4, AVI, 3GP, FLV, MOV and WMV formats. M4V Converter Plus for Win is also a DRM removal tool. That is to say, it can remove DRM protection from purchased M4V or rent M4V videos from iTunes Store, and convert them to unprotected videos formats so as to play them on iPad, iPhone, PSP, PS3, iRiver, Creative Zen, Mobile Phone, Tablet and so on. In addition, M4V Converter Plus for Win supports users kinds of humanized functions, like batch conversion, customized settings, easy option and high conversion speed. All of the functions help you make full use of M4V Converter Plus for Win. Finally it is a shareware for Win 7, Win 8, Win 10. Recent Changes: Add output presets for iPhone XS/XS Max/XR, Samsung Galaxy Note 9 and Galaxy S10.